I'm freaking out a little bit! My firstborn starts going to childcare one day a week, starting next week. I'm starting to feel a bit insecure about it! Will she be ok? Will she behave? I'm driving myself crazy. I know she's going to have a great time, but I'm all up in knots about it! She's been running around the house with a backpack on, talking about going to school. I just about burst into tears every time! She's still so little!!! Ugh. Now, I know how this feels. Phew. I'm sure I'll get use to it, but I'm just a ball of nerves right now. 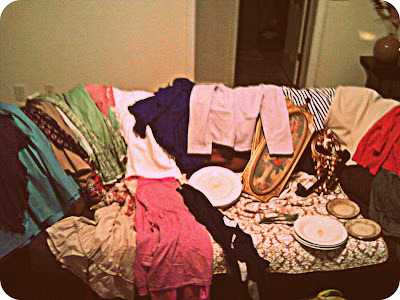 You'd think I was the one starting a new class! 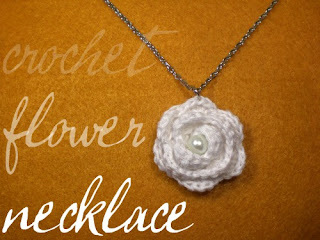 This is an adorable crochet flower necklace from Homemakin' and Decoratin'. I LOVE it! 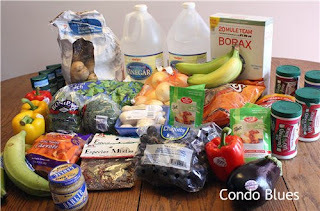 Extreme couponing for healthy food, from Condo Blues! Homemade all-purpose cleaner from Thrifty and Fabuless. Can't wait to try this and her homemade oxy-clean recipe! Yikes! Thanks for catching that. All fixed now. I love your simple, homemade recipes for household items. So helpful! Thanks for linking up!